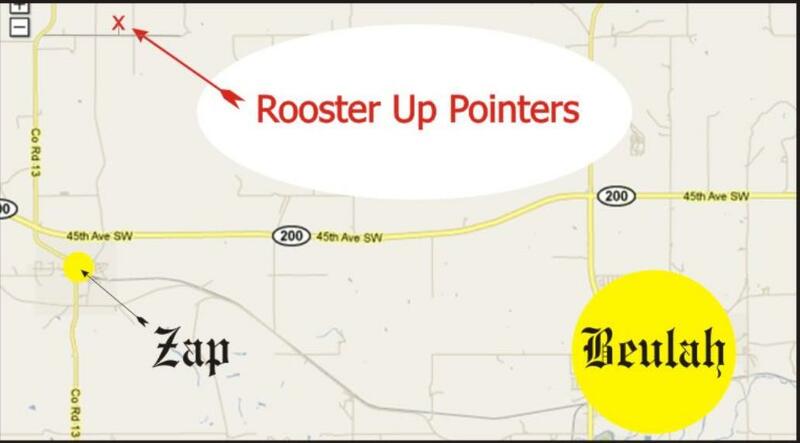 We are located West of Beulah, ND on Highway 200. Go West to the Zap turnoff, about 8 miles. Turn North at the Zap Sportsman's Club on Mercer County 13. Go North 2 miles and turn East. Go 1 mile, turn North at the Brown mailbox and you're there.